[S309] US Social Security Death Index, 1935-Current, Ancestry.com, Lillian Thomas, accessed April 20, 2010. [S1181] Lillian Thomas Cemetery record, Assumption Cemetery, Glenwood, Illinois. [S1374] McCabe-Flahiff Illinois, Cook County Marriages, 1871-1920: Accessed May 29, 2011, marriage date: December 20, 1917, reference no. 783740. 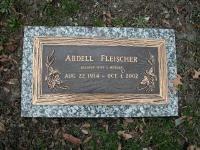 Burial*: He was buried after 11 December 1994 at Rosehill Cemetery, Chicago, Cook County, Illinois, USA. 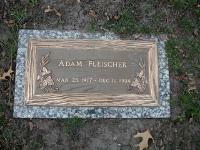 Gravestone located at cemetery. [S1055] Chicago Tribune, December 27, 1965, page E10, Accessed December 1, 2006; ProQuest. 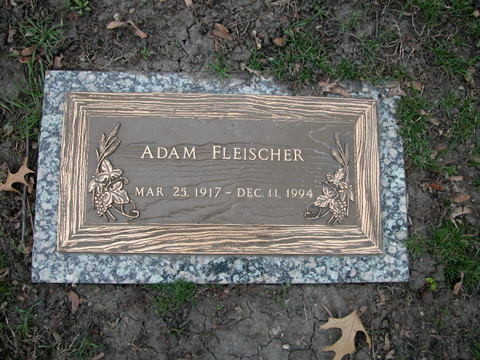 [S1061] Adam Fleischer Grave marker, Rosehill Cemetery, Chicago, Illinois. [S1063] Chicago Tribune, October 2, 2002, page 10, ProQuest. [S2624] Marriage Register: entry for John Ginty and Catherine Foley, March 4, 1898 IrishGenealogy.ie, Department of Arts, Heritage and the Gaeltacht, Ireland, Accessed February, 2018. [S2633] Catherine Ginty, Ireland, County Mayo, Swinford, Cloonlumney death registration, Accessed March 6, 2018. [S2635] 1901 Irish Census Ireland, County Mayo, Swinford, Cloonlumney, Dublin, Form A; number on form 687, Accessed March 6, 2018. [S2626] John Ginty, Ireland, County Mayo, Swinford, Cloonlumney death registration, Accessed February 2018. [S1676] Find A Grave, online http://findagrave.com, John Ginty, memorial ID 169722308, photo added by David L.
[S2625] Patrick Ginty, Ireland, County Mayo, Swinford, Cloonlumney birth registration Page 373, line 72; ID# 01713210, Accessed February, 2018 (May 12, 1904). Marriage*: He married Dawn Connor. [S1088] 1850 US Census, New York, Chenango County, Sherburne, Washington, DC, Page 255, Ancestry.com, accessed March 28, 2007. [S1089] 1860 US Census, New York, Chenango County, Sherburne, Washington, DC, Page 85, Ancestry.com, accessed January 2, 2008. Note*: She A headstone for Christine Ann Cartwright sits next to Ardell and Adam Fleischer's gravestones in Rosehill cemetery. [S1226] 1920 US Census, Illinois, Cook County, Chicago, Ward 25, Washington, DC, ED 1415, Sheet 13A, Line 23, Ancestry.com, accessed September 11, 2010. 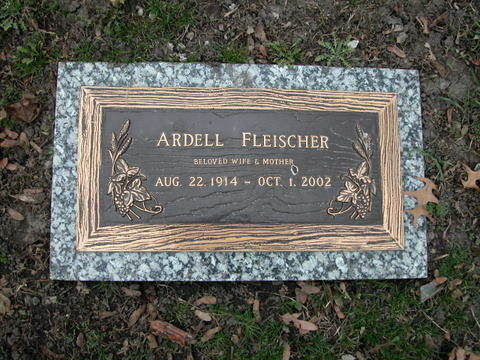 [S1060] Ardell Fleischer Grave marker, Rosehill Cemetery, Chicago, Illinois.